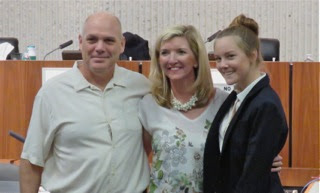 The new Costa Mesa Planning Commission meets again on Monday, February 27, 2017 beginning at 6:00 p.m. in City Council Chambers at City Hall and the first order of business will be to swear-in and seat their remaining new member, attorney Jeffrey Harlan- the highest vote getter in the recent selection process. He missed the last meeting when his peers were installed due to a family emergency. You can read the agenda for this short meeting HERE. TIME EXTENSION FOR 585 AND 595 ANTON BLVD. There are two public hearings scheduled for this meeting. 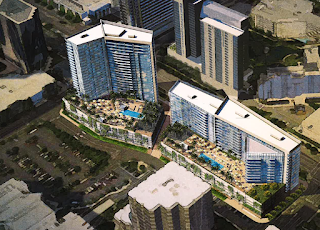 The first one, HERE, is the request for a one-year time extension for the Final Master Plan and Vesting Tentative Tract Map for a high rise condominium project at 585 and 595 Anton Blvd. The project approvals were originally granted on October 8, 2007 and will expire on October 8, 2017 unless the extension is granted. The staff recommends approval of the request. Public Hearing #2, HERE, is for a Conditional Use Permit to allow the establishment of a food service use at 891 Baker Street, Suite B-19. The staff recommends approval subject to conditions. It's likely this meeting will be a short one, but the commission shouldn't get used to it. Once the City Council decides the direction they're going with Sober Living Homes, the log jam of pending applications will descend upon them like water out of the spillway at Oroville Dam. They should enjoy this easy transition period, because the real heavy lifting awaits them. 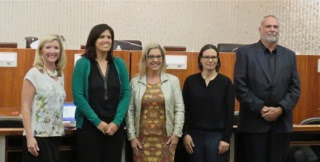 The brand new Costa Mesa Parks and Recreation Commission met Thursday night, were sworn-in, selected their leadership and promptly got down to business. 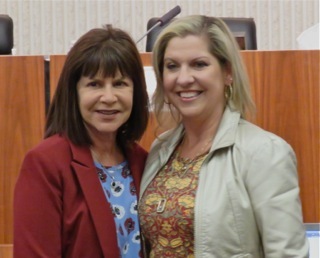 New commissioners Kristina (Krissie) Bogner, Leah Ersoylu, Liz McNabb, Kim Pederson and Arlis Reynolds all showed up, many with an entourage of family and friends in tow, and were promptly sworn-in by City Clerk Brenda Green, then took a few photos with their individual crews. Next up they selected their leadership. 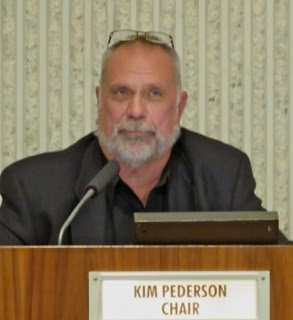 Returning Commissioner Pederson - a 29-year employee of the City of Newport Beach in their parks maintenance organization who has been the Chairman of the commission in the past - was chosen as Chairman on a unanimous vote. 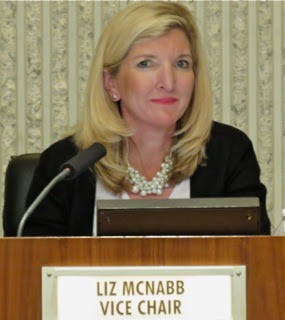 McNabb was chosen as Vice Chair, also on a unanimous vote. 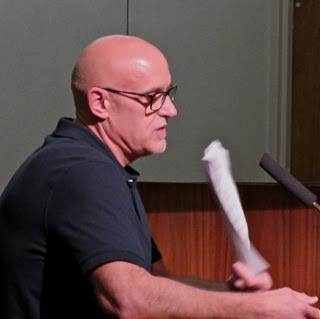 They promptly dispatched with the minutes from previous meetings, then turned their attention to members of the public who chose to speak to them on non-agenda items. 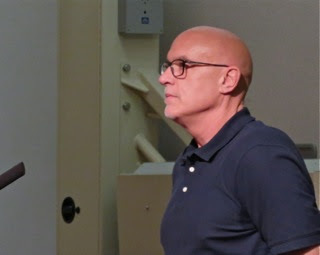 First up was former Planning Commissioner Mark Korando, who spoke with great outrage about his inability to utilize Lions Park with his grandchildren because he found most of it fenced-off - apparently a deterrent to the burgeoning homeless population. 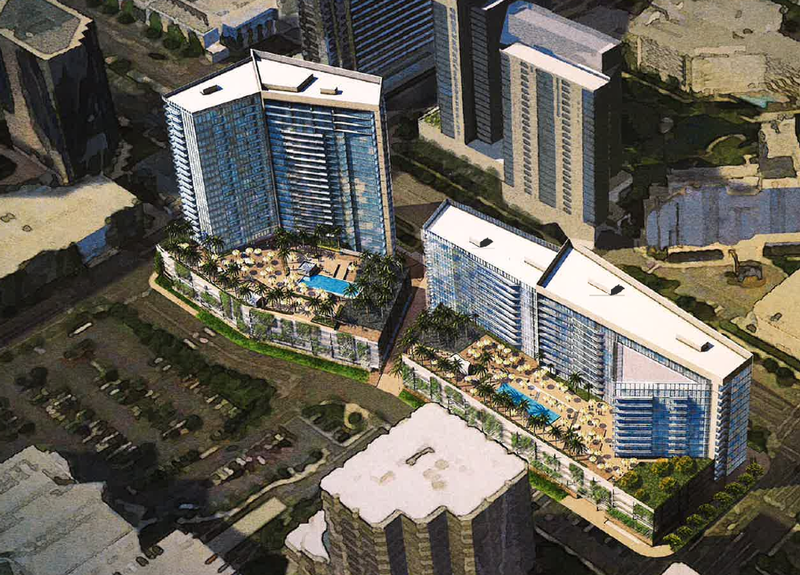 He estimated that 2/3 of the park is unattainable by residents. 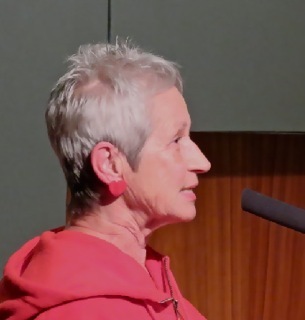 Kim Hendricks briefly addressed Sober Living Homes impact on the parks, recommended the commissioners read the Fairview Park Master Plan and told the commission to do their homework because she expects excellence from them. Flo Martin stepped up to complain about the lack of picnic infrastructure at Wilson Park. 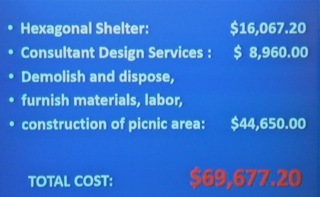 She presented the following slides that showed how much it cost to build, then dismantle that infrastructure - done to discourage homeless folks. She asked the commissioners to investigate replacing that infrastructure so the residents can use the park again. 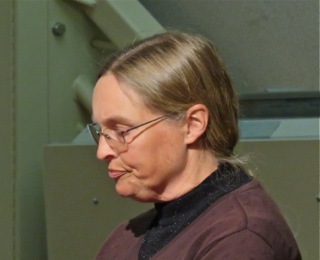 Ed Gilmette (sp) and Mary Kenyon complained about the "Urban Mushers" who train their dog teams in Fairview Park with, according to them, careless abandon. Kenyon expressed fear of the dog - some of the breeds are apparently recognized as some of the most dangerous dog breeds. 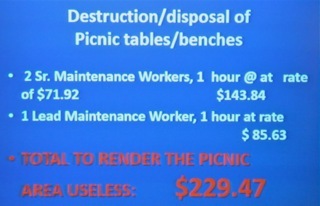 They asked for the City to investigate the use of the park by the Mushers. Bill McCarty observed that the roster of commissioners had Pederson on top. 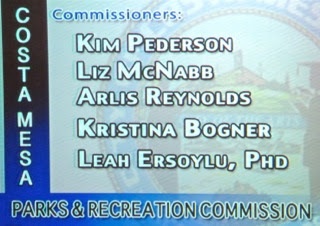 He also championed Commissioner Arlis Reynolds as the representative for Fairview Park. 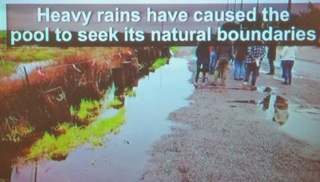 He then showed a short slide show and asked that previously destroyed Vernal Pool #4 be renovated. A gentleman self-identified as an artist who left Costa Mesa for Santa Ana twenty-five years ago to help establish that city as an Art Haven - and praised himself for that action. He said he now wants to return to Costa Mesa to perform the same service. He also championed Reynolds for Fairview Park, mentioning that he had established a good relationship with her - he went to Harvard and she to MIT. 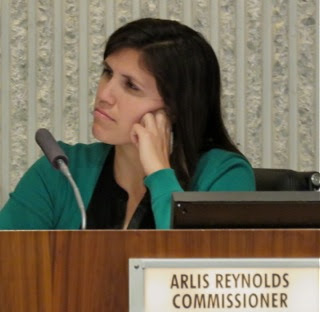 He said he was "enamored with Reynolds hard work." 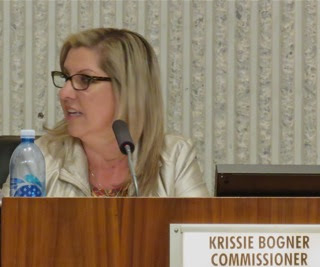 Then came Commissioner Comments, and Chairman Pederson encouraged each to give the audience - a group of around 30 people, including Mayor Katrina Foley, Councilman John Stephens and Planning Commission Chairman Stephan Andranian (Councilman Allan Mansoor made a brief visit to the auditorium with his young daughter before the meeting began) - a quick summary of their backgrounds and interests. Reynolds told us she grew up on the Westside, went to school in Boston/Cambridge (MIT). She said she's happy she returned to Costa Mesa, which she said is "really great". She also mentioned an upcoming event - the Great American Write-off, in March. 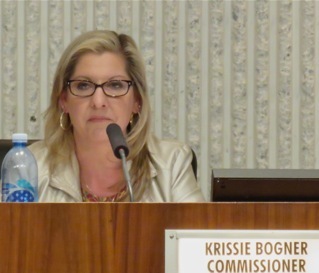 Bogner thanked the council for her selection, said she's only been in the city 2 years and, I think, said she lived on the Westside. Funny, she lives near Wilson Park, which is NOT on the Westside. She sympathized with Martin's plight about Wilson Park, observing that she had offered housing to some of the homeless but they refused. 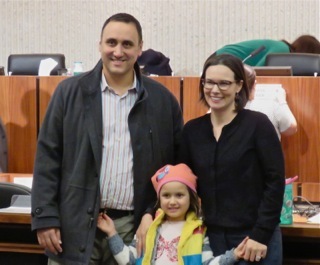 She's been working closely with consultant Muriel Ullman on homeless issues. She asked the staff to look into the "Musher" issue. She also asked for a briefing on "lighting" of certain parks - referring specifically to lights at Kaiser School. Vice Chair Mc Nabb said she's a 22 year Mesa Verde resident. She complimented the staff for their professionalism. 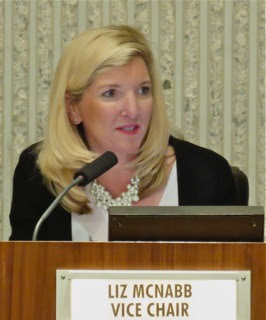 She observed that the voters have expressed their views about Fairview Park via Measure AA. 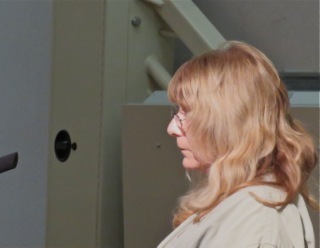 Among the ideas she said she would like to pursue are using social media to promote park use; a "Park of the Month" program and a 360 degree video view of each park on the web site. She also encouraged us to consider using Milkweed in re-landscaping projects to encourage proliferation of Monarch Butterfles. 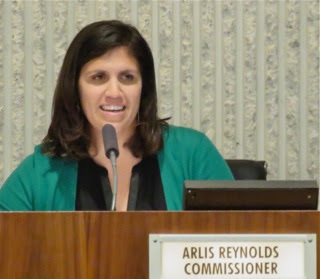 Ersoylu also thanked the council for her selection and mentioned she had worked extensively with Santa Ana on park equity. 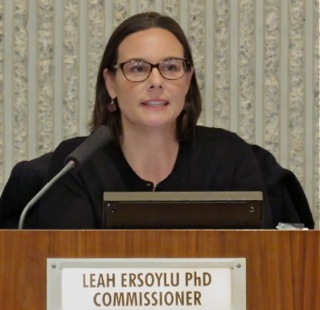 She observed briefly about park districts, the Master Plan and that she expects to learn a lot. 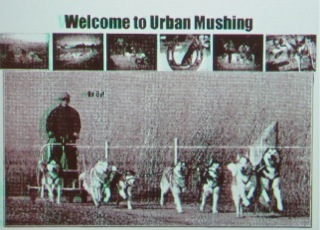 She also expressed concern about the Urban Mushers. 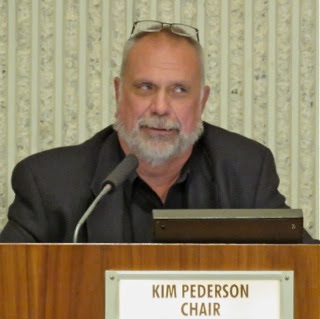 Chairman Pederson mentioned his long tenure at Newport Beach, complimented his fellow commissioners and observed that everyone arrived ready to go to work. He mentioned the need to agendize the issue of a liaison with the school district. He also observed that Fairview Park is not a "native park", but, rather, a "natural park". He suggested that they would be seeing the Parks Master Plan soon. He also expressed concern about the Urban Mushers at Fairview Park. The Consent Calendar was quickly dispatched on a 5-0 vote without discussion. 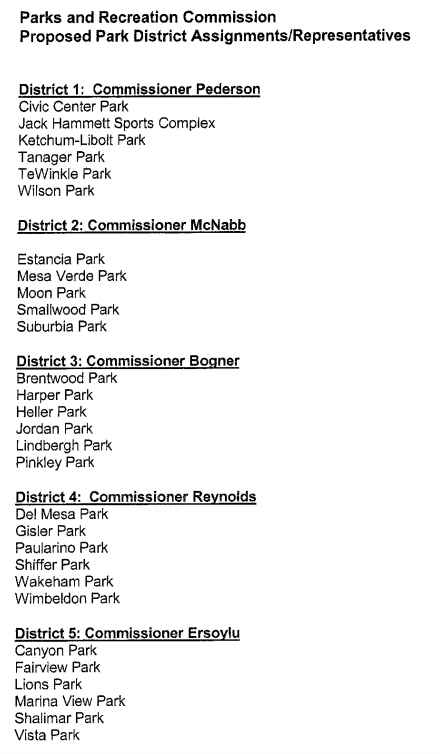 Then came the issue of Commissioner Districts. This is the configuration the staff created, according to Recreation Manager Justin Martin, based on input from the commissioners, their interviews during the selection process and other variables. 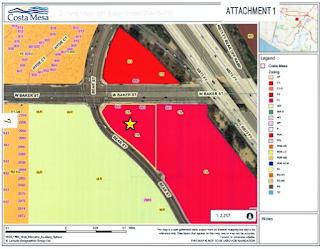 Reynolds wondered why Balearic Park was not included and was advised that it belongs to the Newport Mesa Unified School District. Bogner said she was convinced of the wisdom of NOT having a commissioner responsible for a nearby park to avoid conflict of interest - earlier she implied that she'd like to have Wilson Park as one of hers because she lived very close to it. Five members of the public spoke to this issue. 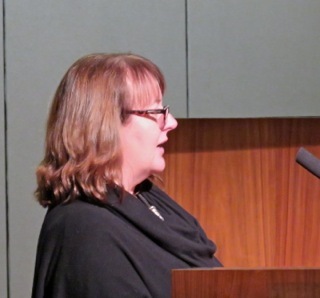 Julie Fowler said the discussion had convinced her of the wisdom of having commissioners NOT represent a nearby park. 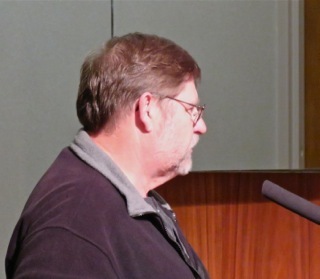 Bill McCarty said he didn't agree with that rationale, again supporting Reynolds for Fairview Park. 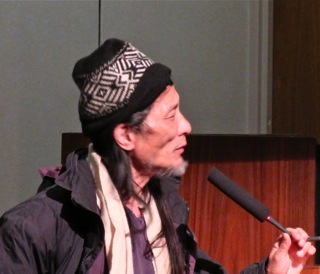 Steven Chen observed that the Westside needed better representation. 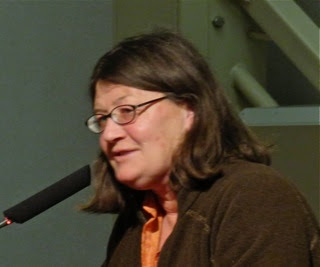 Beth Refakes observed that the Eastside had no representation, but agreed that diversity was a good idea. 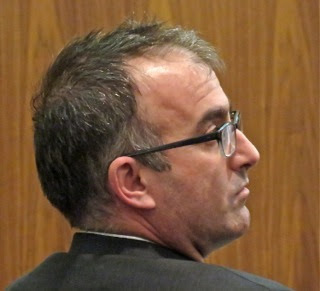 Mark Korando observed that perhaps Fairview Park should have two representatives. 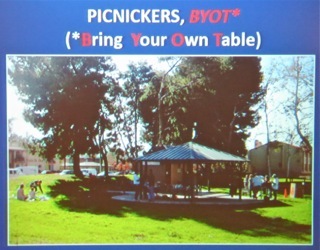 Much of the discussion revolved around Fairview Park - Reynolds clearly wanted it to be part of her group parks, citing better service to the community. Other members seemed willing to be flexible to change, but when it came to a vote - and after Pederson reminded them they could revisit this issue in the future - they chose to leave it just as the staff presented it on a 4-1 vote, with Reynolds voting NO. Next came the Parks Project reports by Bart Mejia, City Engineer, and Tom Coughlin, Interim Maintenance Manager, on the status of Parks projects around the city. Mejia began by speaking about the status of street median projects and the Fairview Park report on the impact of Measure AA, currently underway. A report on park lighting issues will be issued in April or May coincident with the Capital Improvement Budget. 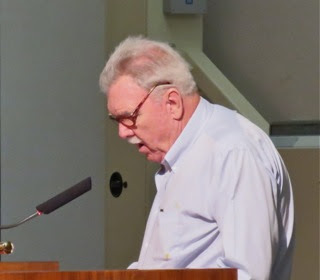 He spoke about the Open Space Master Plan, indicating the outline is complete. 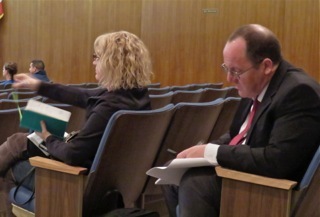 ADA compliance issues with TeWinkle Park are going out to bid. The modifications at Jack Hammett Sports Complex - replacing Fields 1 and 2 with artificial turf, creating more parking and more restroom capability - is moving forward. He spoke about improving the appearance of the Newport Boulevard frontage areas. 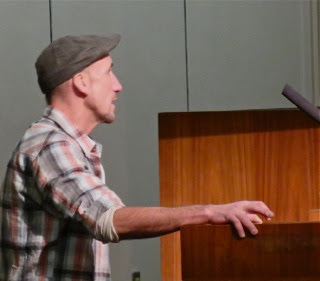 He also told the commissioners that the proposed expansion of the Skate Park will be in the hands of the consultant and community outreach will soon begin. 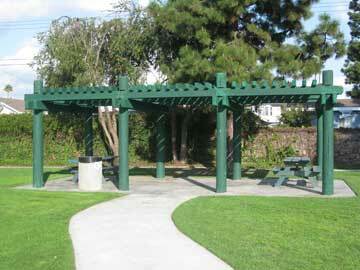 Coughlin spoke about replacing picnic structures at Paularino and Pinkley parks with new metal structures. He said the old wood structures are severly damaged by termites and rot. He spoke about the recent renovation of the Downtown Pool and the plans to replace the shade structure at the Senior Center. He will update the commission later on the status of our urban forest. During the last storm we apparently lost 55 trees with one home being damaged. In response to Commissioner Reynolds question, he responded that he cannot predict the completion of clean-up from storm damage because it's a fluid situation - with more rain coming and trees placed in jeopardy by the last storm are still upright. 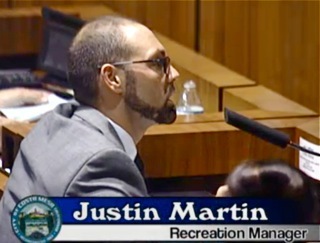 Recreation Manager Justin Martin then gave his report on the current status of recreation programs in the city. In general, most programs have seen significant increases in participation. Among the notable comments he made was that the ROCKS after school program is in 11 campuses and has 1,100 participant. The Presidents Day Camp - when schools are closed - also had good participation. He mentioned that the Neighborhood Community Center had closed and was in the process of having all furniture removed in anticipation of demolition - the first step in the Lions Park project. He told the commissioners that the current single story, 20,000 square foot structure will be removed and replaced by a two-story, 20,000 square foot building, which will result in the creation of an acre of available park space on the site. The demolition, construction of the new library building, renovation of the old library building and the installation of whatever will go into that new acre should be completed by 2020. In the meantime, all tenants of the NCC were assisted in finding new sites for their activities, including in neighboring cities, until the new facilities are ready to accommodate them again. 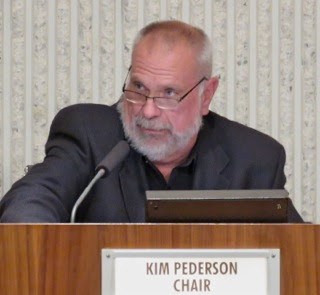 As the meeting wound down Chairman Pederson mentioned that there will be a joint meeting with the City Council and Planning Commission on March 28th. Commissioner Ersoylu asked about the upcoming California Parks and Recreation Conference in Sacramento in March. Martin indicated he and some other staffers will attend. It will be held in Long Beach next year and Martin suggested some of the commissioners attend that one. The meeting ended at 8:25. A few thoughts about this new commission. First, all of them came ready to work. 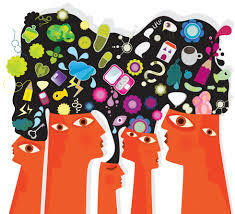 They all had specific things on their minds that they want to discuss in the future. Vice Chair McNabb, in particular, rattled off a long list of issues she wished to explore with the group. With the exception of Pederson, they all were trying to gain their sea legs - figuring out which button to push when voting, the proper decorum on the dais - all the "new guy" stuff that one faces in that role. I did notice that Pederson probably needs to refresh them on the proper procedure for asking questions. The proper form is for them to request the opportunity to speak from the chairman before just rattling on. Without some tightening-up of that element future meetings could devolve into chat sessions. Staff also needs to be reminded that their responses are to be directed to the chairman, then to the individual commissioners. It's not a big deal, but it's easy for things to become chaotic without following the rules. I was VERY impressed with this new group. Their varied backgrounds and interests should make for some very thorough discussions on the important issues ahead of them. 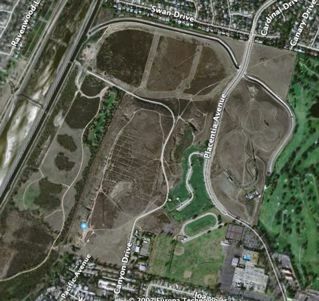 Each appeared to hold Fairview Park in a very special place, so discussions about the future of that particular park, particularly in light of Measure AA, will be interesting. It's interesting to note that this group seems not to have such a strong "youth sports" orientation as previous Parks and Recreation Commissions have had. That's not a bad thing. I'm going to enjoy watching them work. Congratulations to them all. The brand new Costa Mesa Parks and Recreation Commissioners will meet for the first time tomorrow night, Thursday, February 23, 2017, at 6:00 p.m. in City Council Chambers at City Hall. You can read the agenda report HERE. 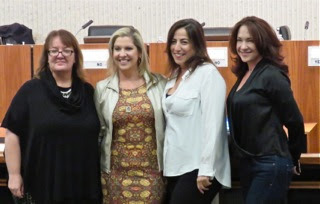 The new commissioners, Kristina Bogner, Leah Ersoylu, Liz McNabb, Kim Pederson and Arlis Reynolds, will be sworn-in - 'tis the swearing season - and will then elect a Chairperson and Vice Chairperson. The agenda is small - as you saw - so this meeting should be a short one. We'll see some good staff work from the Recreation folks and then the commissioners will sort out the assignment of specific parks to each of them. This was the practice of the previous commission - to provide more individualized oversight on every park in the City. It seemed to be a good idea - most former commissioners seemed to do their homework, visited each park and had substantive comments on each.